We have carried Jacquard Inks for a while but some our staff hadn't used them. Amanda and Jill got a chance to experiment with them at a recent trade show. 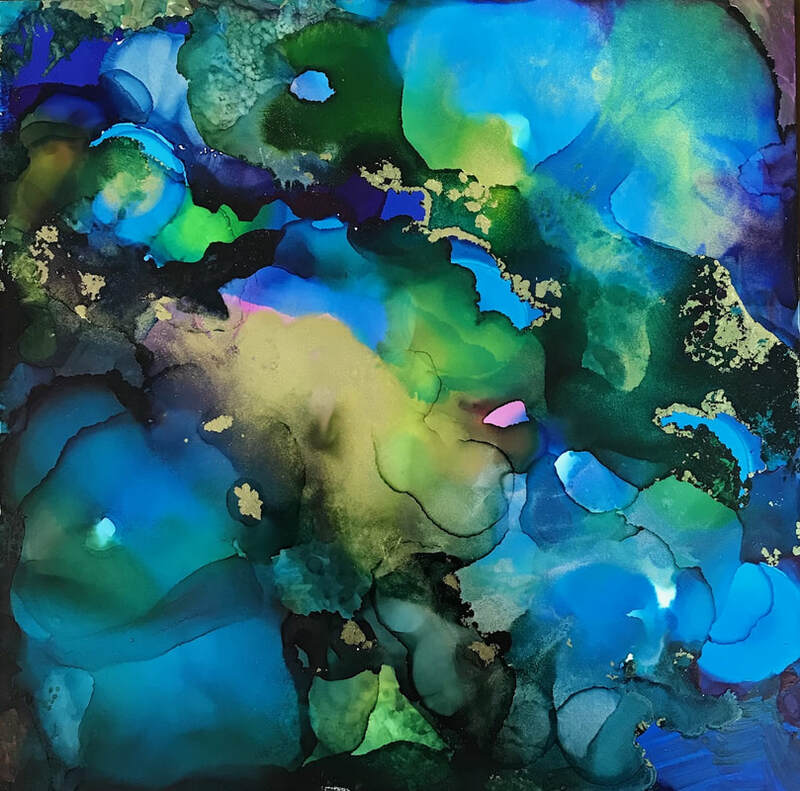 They used the Jacquard Alcohol Inks on Ampersand Claybord panels. It was so much fun! These inks can be used on glass, plastic and leather. Some of our watercolorists use these inks on Yupo. With 17 vivid colors to choose from including gold and silver, you can make magic. The process was very simple. 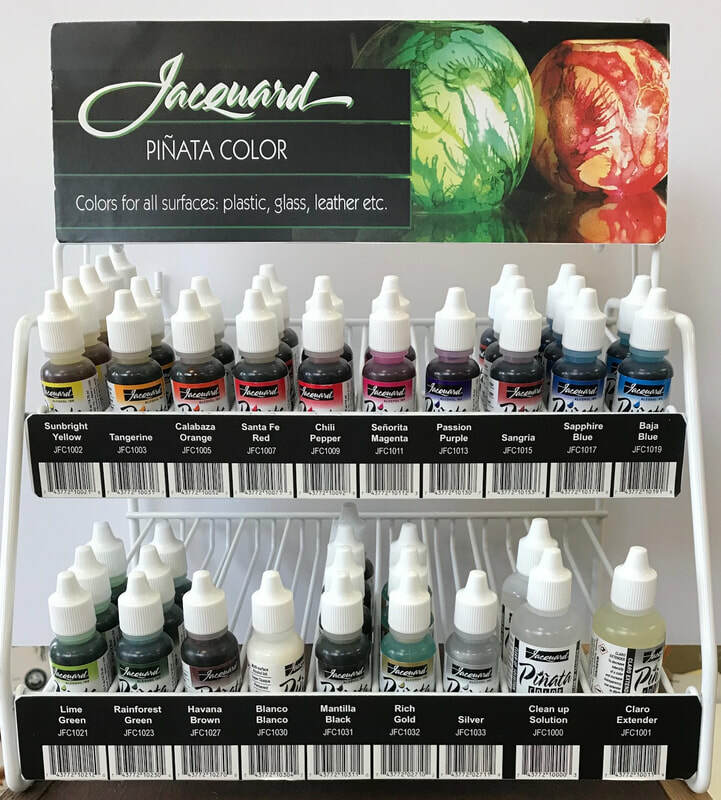 The ink comes in dropper bottles so you can put as much or as little ink on your surface as you would like. 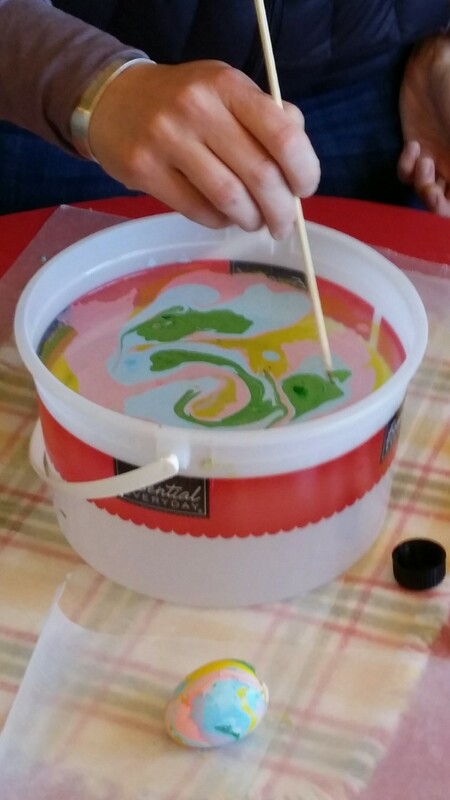 Tilt the surface to move the colors around or add some rubbing alcohol (from the drug store) to get more ink movement and to clean up your brushes. If you don't like what you did, use some rubbing alcohol to remove the ink! 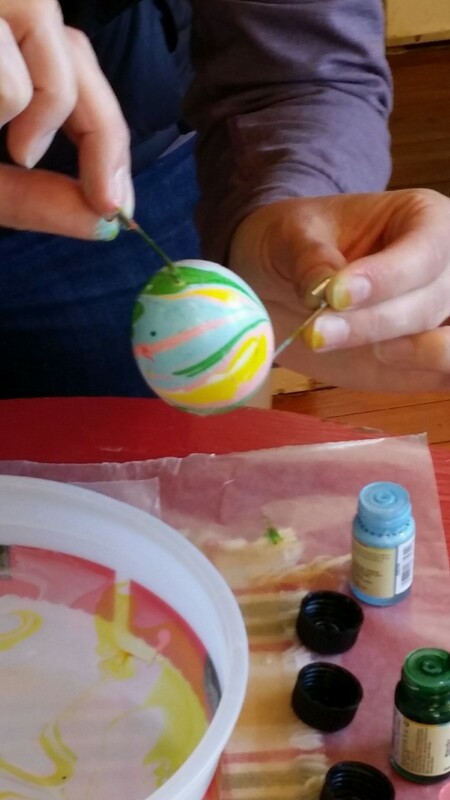 So easy, so much fun! This is what Amanda made! Beautiful colors flowing into each other with wonderful layers of transparency. 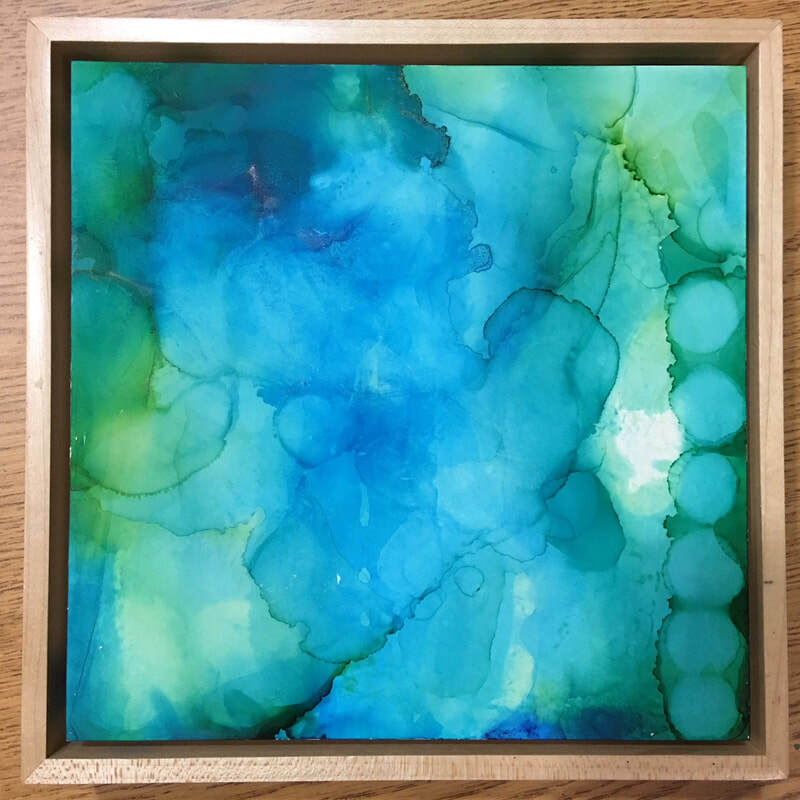 This is Jill's experiment with alcohol inks. They both love the rich blue colors but this piece has some gold added for extra sparkle. One of our favorite things to frame are old family collections. 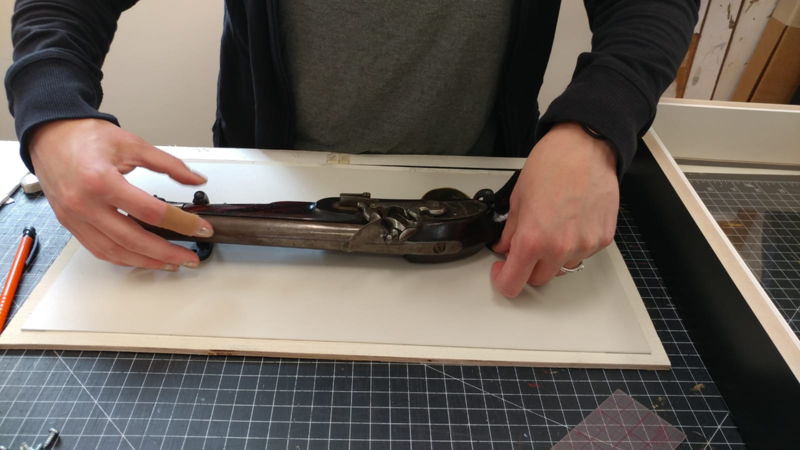 This spring, we had a client bring in three antique black powder pistols. This kind of artifact is so often stashed away and out of sight. ​What fun to bring them out into the open for all to see! After very careful and thoughtful time on the design counter, we went to work sourcing and designing supports and backing for these incredible pieces of history. We ended up choosing an antique bronze fixture for mounting the pistols. This finish compliments the old, distressed metal and wood of the firearms without being distracting. The bronze fixtures were lined with dark felt to provide a near invisible cushion and a gentle support against the weight of the heavy guns. This helps protect against damaging these irreplaceable antiques. Careful hands and placement are a must! Sometimes going to work is like a history lesson. 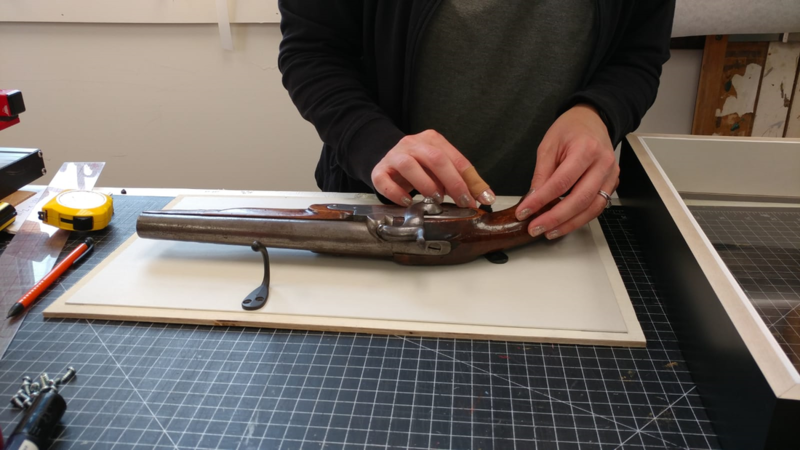 We learned about how flintlocks work and imagined the hands that held these pistols over so many years. 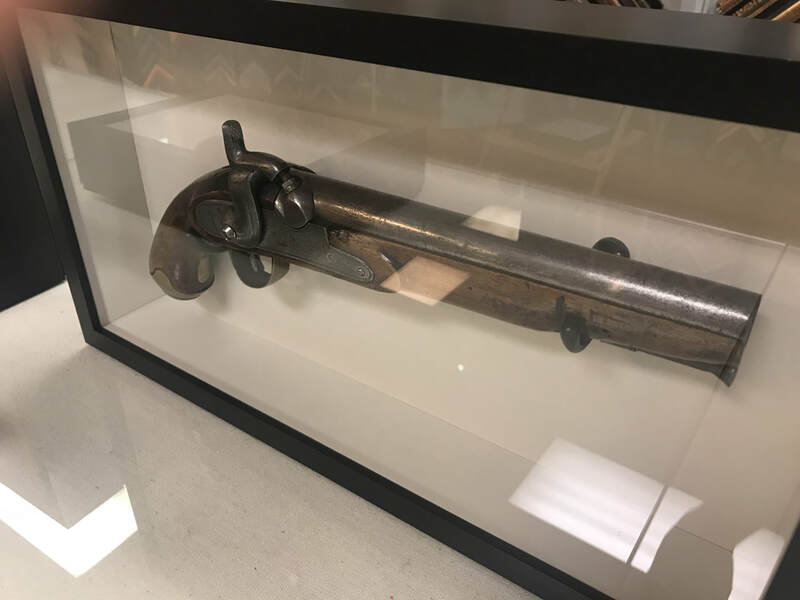 Once seated and sealed in their new frames, the pistols were ready to go home and be admired on the wall! Following the minimalism of the past decade, we are seeing a revival of gold mouldings and painted mats. We absolutely love gold frames and a good painting challenge! 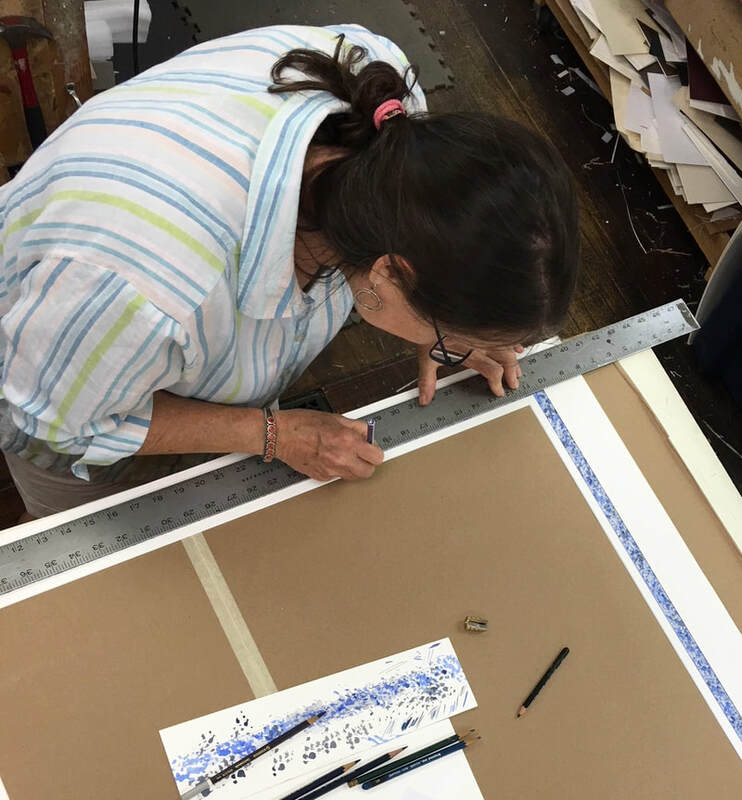 On one recent project, our client had a very large tapestry that needed the added presence of a mat - something to separate the beautiful dark threads of the artwork from it's frame. 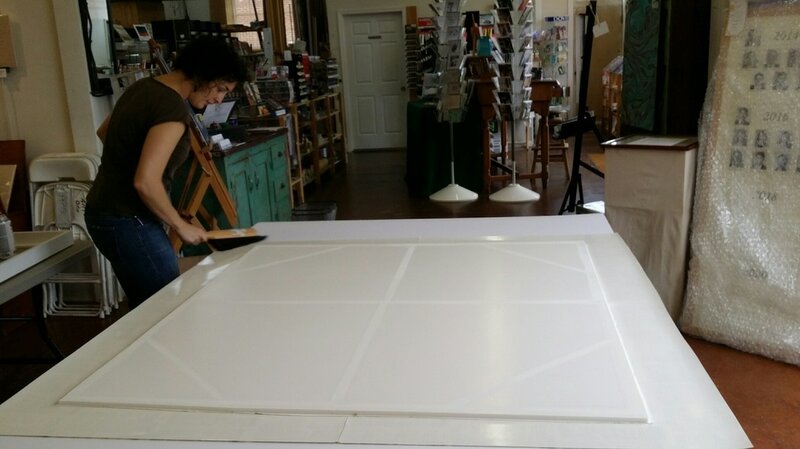 A simple white mat wouldn't do on this oversized masterpiece - a whopping 3 by 8 feet! 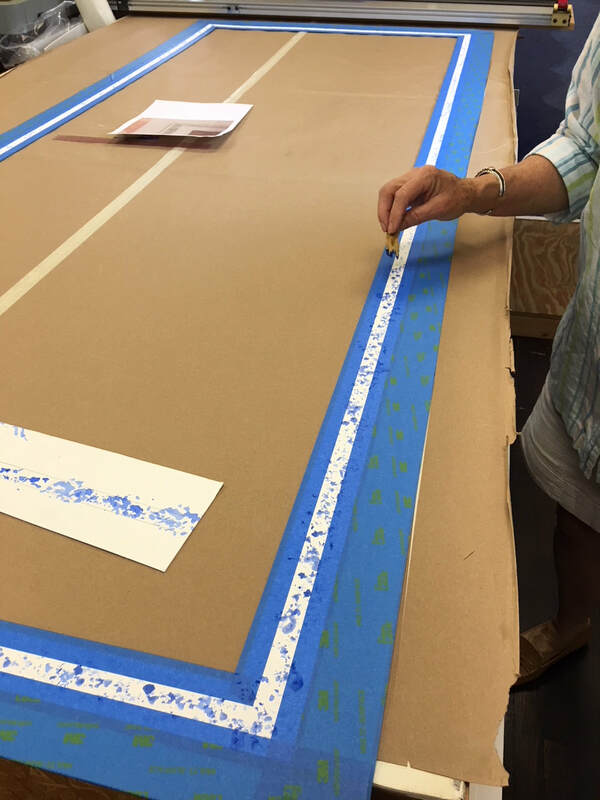 After carefully hand-cutting the mat, we used a nontraditional method of taping off a secluded 3/4" panel of the matboard. Within this exposed area, Anne went to work on a loose and playful sponged pattern, using colors inspired by the artwork. 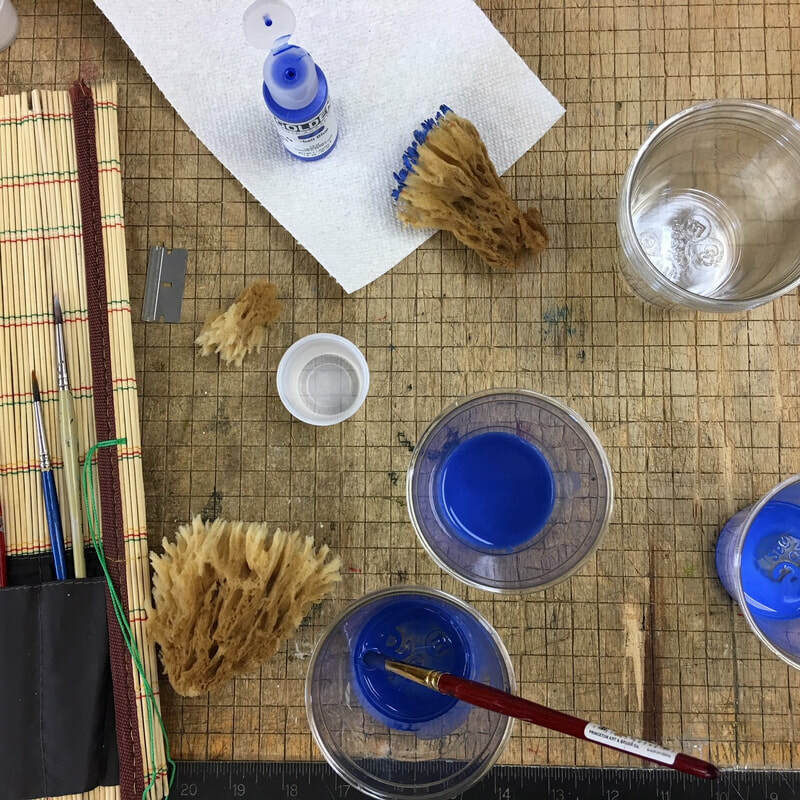 As a contemporary alternative to the usual penned lines found on many traditional French Mats, we softened the finished edges of our sponged panel with lightfast colored pencils in complimenting colors. Projects like these stretch our vocabulary and show us what we're made of. 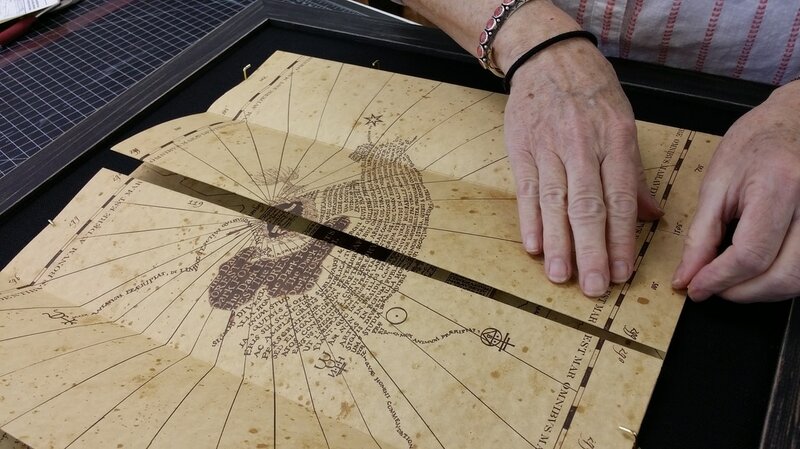 We can't wait to get this mat placed on the artwork, perhaps into a gold frame, and then into the hands of our adventurous client! Watercolors by definition are paints made from pigment suspended in a water based solution. The earliest known examples of watercolor painting are around 40,000 years old during paleolithic times. Ogg was inspired to react to his . . . her?. . .(let’s not make assumptions about artsy cave peoples) surroundings and decorate the den and we’ve fascinated with the process ever since. Poor Ogg did not have vibrant quinacridones or cadmiums with which to paint, OR some nice rag cotton watercolor paper either! 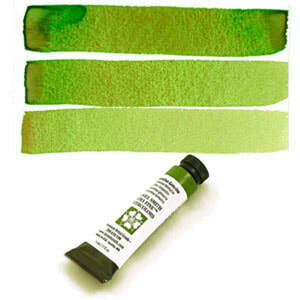 Take time to consider that a good quality watercolor paper is just as crucial to getting good results in watercoloring painting as the paint that goes on it. Nothing is worse than wasting your good paints on an inferior substrate. We have a broad selection of watercolor papers but it can be overwhelming to choose sometimes so we’ll have a look at what you should consider when purchasing for your next painting adventure! 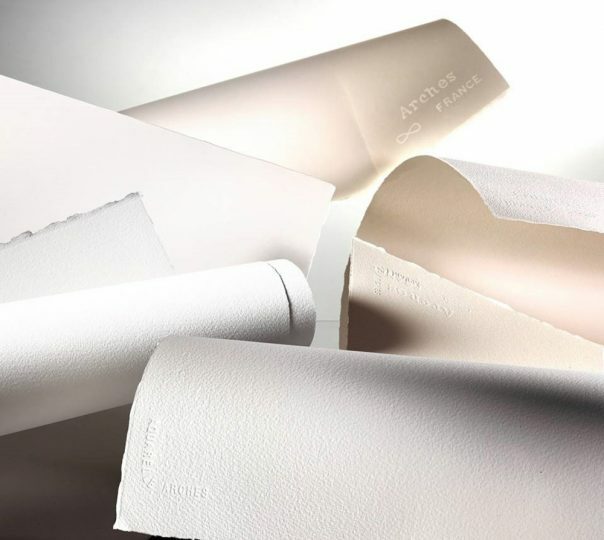 Content: Most artists prefer the texture and feel of 100% cotton papers. 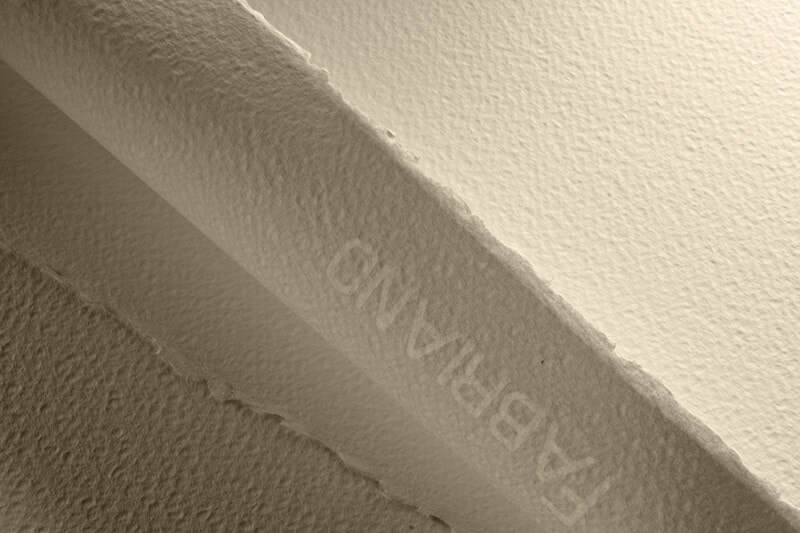 It is usually the mark of a high quality paper as sometimes papers can be made with other filler materials and not as desirable. It’s important to note the term “usually” because there are always exceptions to the rules and we happen to have some! Weight: Three of the most common weights for watercolor papers are 90lb, 140lb, and 300lb. These weights ultimately concern the thickness of the paper you on which you will be painting. 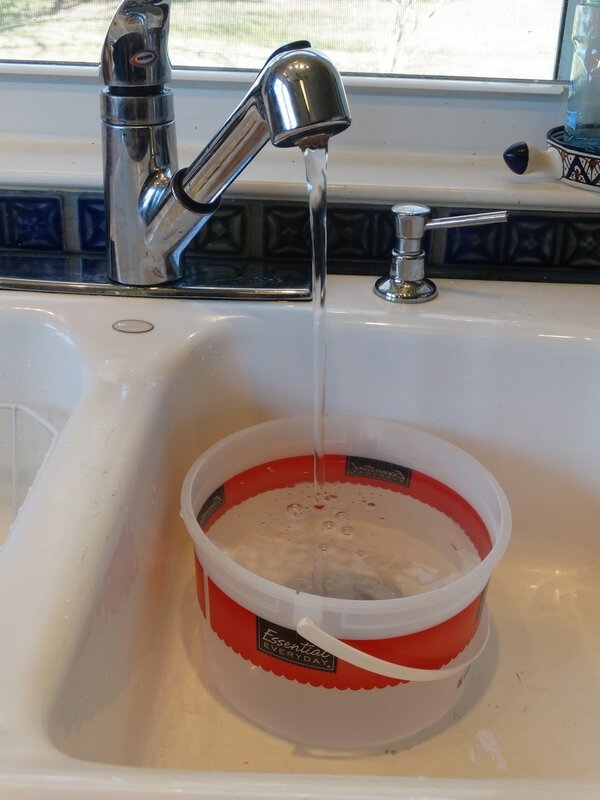 As the paper fibers absorb water, they will swell and move and this result can result in buckling when areas of the paper absorb water differently than others. This is a more common problem in lighter papers like 90lb and 140lb. Artists will “stretch” or tack down their papers while working to avoid this problem. 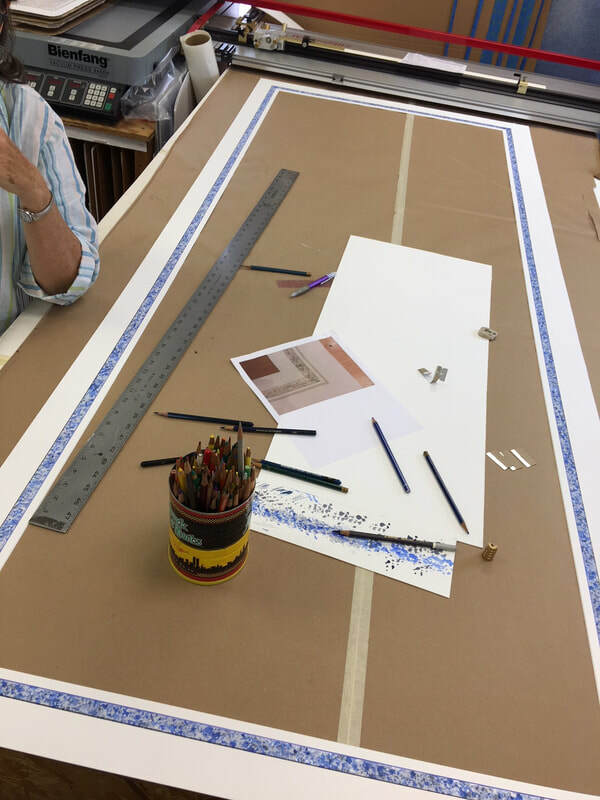 Other solutions are utilizing 300lb watercolor paper or using a watercolor “block.” The 300lb watercolor paper is so thick that it approaches the feeling of a stiff board and will resist buckling. A watercolor “block” is a stack of watercolor papers laminated together to hold all the edges of the paper down as if it had been stretched. 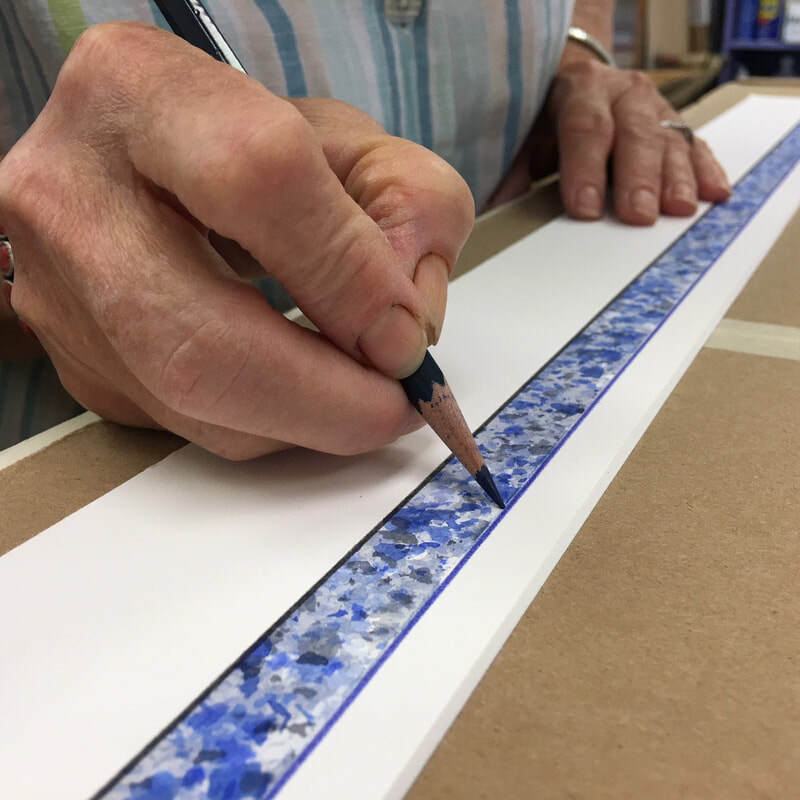 Once a painting is completed, a razor or pallet knife is inserted into the edge and under one sheet of paper and then the painting is peeled off the block to reveal a fresh sheet beneath. Sizing: To combat the issue of bleeding, a sizing is either applied after the paper is made or impregnated into the paper making process. By coating the fibers of the paper, it helps to add strength to the paper as well as resist the pigment particles from soaking into the paper itself. This does one of two things: 1.) Having the paint rest closer to the surface of the paper will make colors appear more vibrant and 2.) the paint will be easier to lift and move if it needs to be reworked. 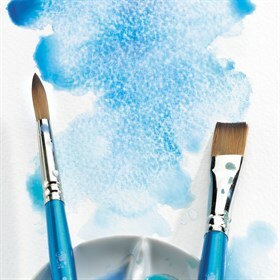 Surface: Watercolor paper comes in a variety of “toothes” or textures. Three of the most common are Cold Press, Hot Press, and Rough. It can sometimes be hard to remember the difference between the first two but considering the temperature might help. Cold Press refers to the process during the end of the paper making in which the papers are rolled through room temperature metal rollers to squeeze out excess water. The result is a watercolor paper that has a slight surface texture that feels very natural. Now, if those rollers were heated, they would act as a hot iron would when you are ironing a shirt. As they squeeze out excess water, they are ironing the fibers flat and the result is a much smoother surface texture. Rough textured watercolor paper is made for those who want a more exaggerated version of the Cold Press texture. There are many rough bumps and peaks of paper fiber throughout. On the subject of preference, illustrators and those wishing to do fine linework may choose to use Hot Press; Cold Press is a good choice for any watercolor painting and is a great way to introduce the process to a beginner, and Rough can be a preference for those who enjoy the texture and have had experience with the watercolor process. As I mentioned earlier, there are exceptions to the rules and here are a few that we keep in stock. Yupo paper is actually made from extruded polypropylene. Fascinatingly, it is made right here in Virginia at their Chesapeake facility. Because it is a plastic the colors do not soak in but have time to rest, pool, and granulate. Yupo encourages many different textures. It is smooth but not slick and has been popular with many of our local artists. Aquabee Super Deluxe Mixed Media pads tout themselves as the “only sketch book you’ll ever need” and they are not far from the truth. They are excellent for field journal work and they have a secret duality. 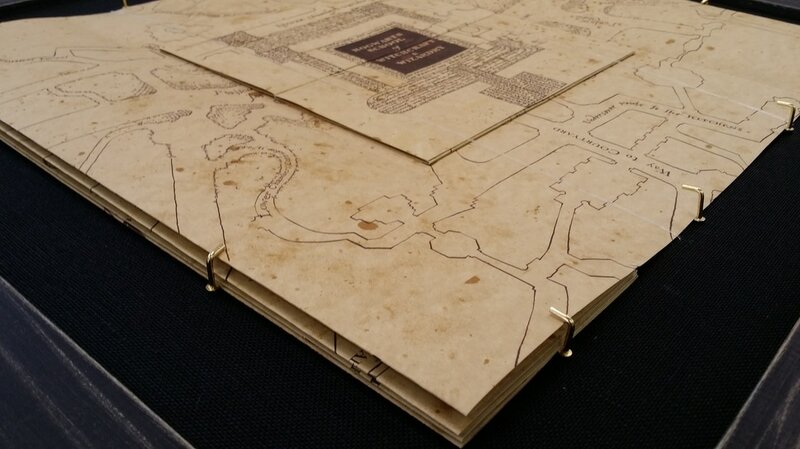 The front surface of the paper has a tooth for those who like a Cold Press finish and the back surface has a smooth surface to cater to those Hot Press fans. Stonehenge is the newest edition to the lines of watercolor papers that we carry. We love it’s bright white and even Hot Press texture similar to the regular Stonehenge. It’s 100% cotton, acid free, ph neutral, and utilizes no animal gelatin. Hopefully this was a helpful primer on navigating the world of watercolor papers. Come on down to one of our locations touch and feel our papers first hand and geek out with our staff! We always enjoy hearing about your process and may have some new products that will inspire or troubleshoot an in-studio snafoo you may have run across. Happy Painting! 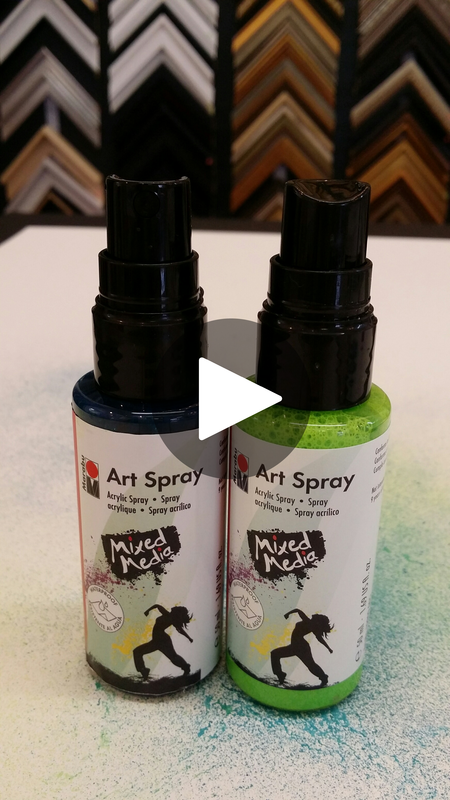 We love the new Art Spray from Marabu! 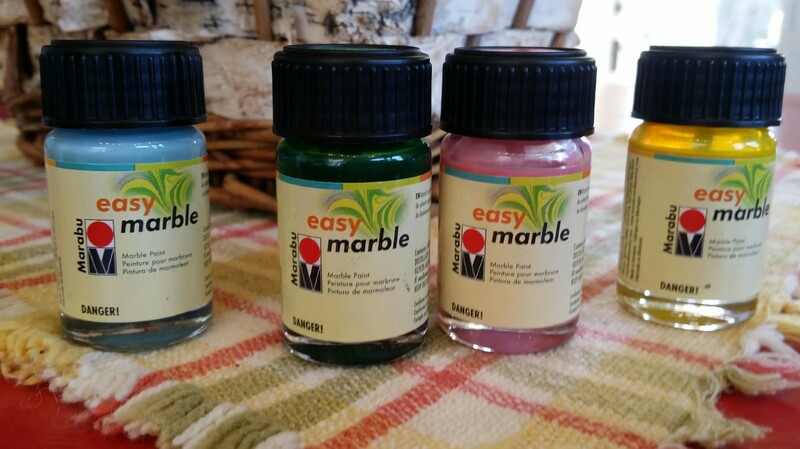 It's great for mixed media fun! ​Click on the picture below to see it in action! ​Our local Sam's Hot Dogs was awarded the front page feature on Knife & Fork of Cville! We celebrated by framing up the page and the article. 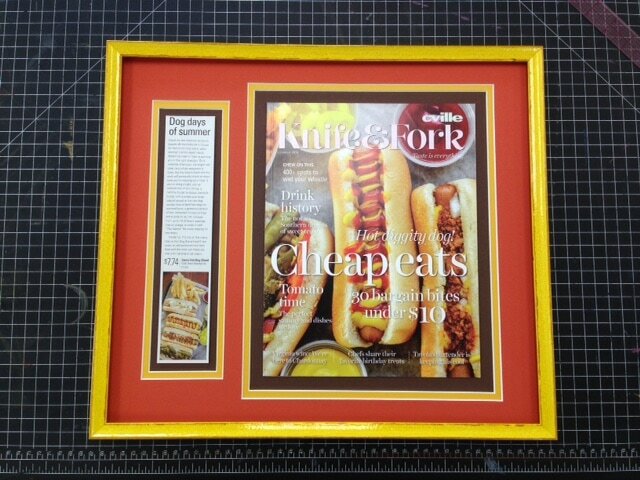 Just like the fantastic fun atmosphere that can be found in the breezy little Crozet joint, the bright yellow glossy frame and the ketchup and mustard colored mats make for a really snappy presentation. We drymounted the articles and then cut them out with a reverse bevel so they appear to be floating on a chocolate brown background. Did we mention chocolate? Not only can you get dogs there but also some delicious flavors of ice cream as well! ​We always love a challenge. 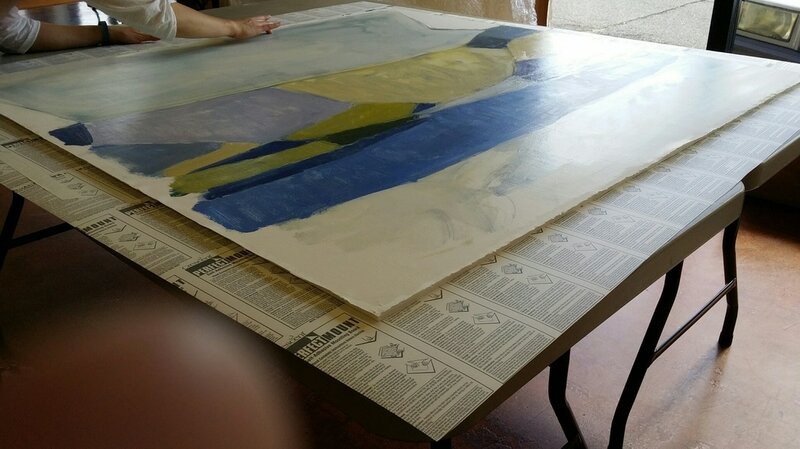 One of our customers brought us a enormous painting on paper by Isabelle Abbot Baldwin. 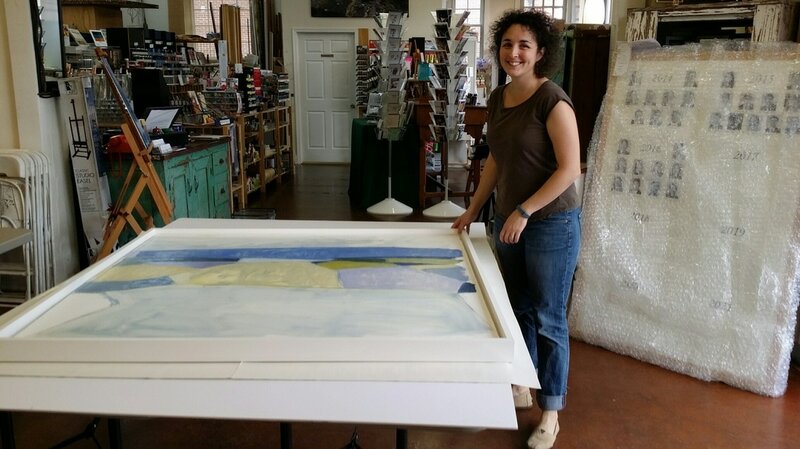 Normally, paintings on paper are put under glass, but the customer wanted this one to float, in a floater frame, as a painting on canvas would do. The piece was over 50"x50" which made finding an appropriate substrate tricky. 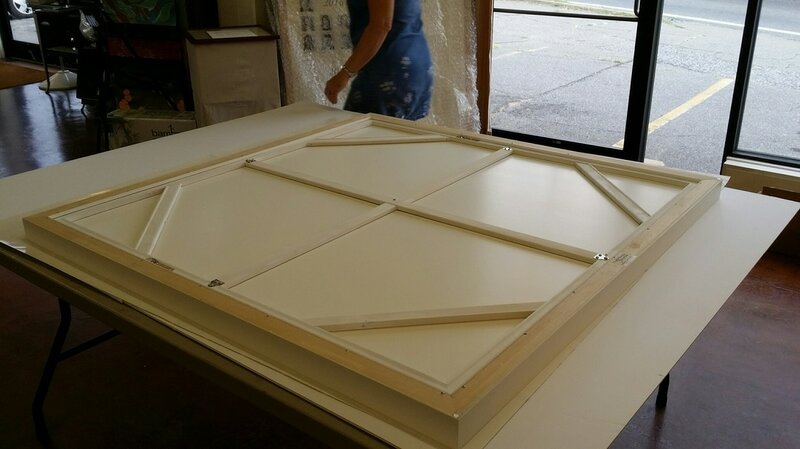 With some brainstorming, we developed a system to mount the large paper piece in a floater frame that was strong, stable, and still retained the paper's light, airy feel. ​Interlocking layers of mounting board were cut to fit behind the painting and mounted overnight. 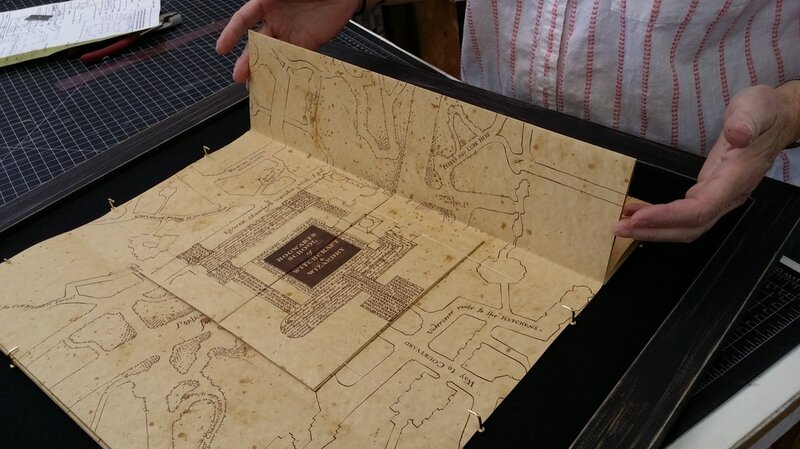 ​The paper was not perfectly square, so some extra calculation and planning was in order. After laying out all of the components, we marked and attached a stretcher to provide the strength necessary for such a large piece to be stable over time. ​The piece settled nicely into it's new frame! ​The customer and Isabelle were very pleased with the results, and so were we!